Are you looking to have spare keys made in Fresh Meadows? Safehouse Locksmith & Hardware will have your spare keys made in Fresh Meadows when you need it. For many years, we have assisted residents and commercial owners alike with professional spare key services, crafting the spare keys you need without delay. Our locksmith specialists are available to provide you with expert service performed with prices to fit your budget. 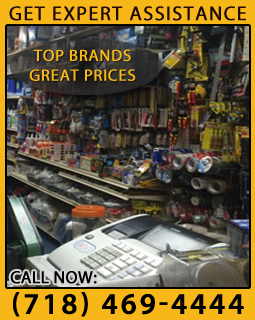 Safehouse Locksmith & Hardware has provided NYC residents and professionals with expert locksmith services for years. Our locksmith technicians are fully trained, experienced, and never sub-contracted. This means that when you come to us for spare keys or other locksmith service, you can expect the same quality service time and again. Our years as trusted locksmiths have made us a reliable name in New York City, and we are proud to assist home and commercial owners in Queens with prompt and affordable spare key services. When you visit our Fresh Meadows locksmith, you'll find professional locksmiths who promptly create duplicate keys you need to get you back to your daily routine. Safehouse Locksmith & Hardware is a trusted name in making spare car keys throughout NYC. We have the capabilities to promptly create spare car keys for remote keys, key fobs, electric keys, switchblade keys, valet keys, and many more. Residents and fleet managers alike come to us when they need spare car keys made, knowing that we create spare car keys without delay. Because of our many years serving NYC, we are able to make keys for you in a New York minute. When you need a car key made, the experts at Safehouse Locksmith & Hardware have the skills, precision, and expertise to complete the job to your satisfaction. Likewise, losing or breaking a key can turn a good day bad. Fortunately, this can be prevented through our spare key services. We understand how losing a key can be stressful, which is why our service standards were created with timeliness and quality in mind. One stop at our local spare key headquarters and you'll soon be back on your way, peace-of-mind restored, knowing you have a spare key in case you lose one or in emergency situations. At Safehouse Locksmith & Hardware, we believe that your satisfaction comes first. Building strong business relationships with members of the Queens and NYC communities has been essential to our growth and continued trusted name. At our local spare key center, you'll find knowledgeable professionals with the skills necessary to efficiently and precisely create the spare key you need. When you are looking to have a spare key created for your home, office, or car, Safehouse Locksmith & Hardware is available to serve you with expertise. When you need spare keys made in Fresh Meadows, call Safehouse Locksmith & Hardware at (718) 469-4444.